Elcomsoft Blackberry Backup Explorer | Elcomsoft Co.Ltd. Analyze legacy BlackBerry OS backups produced with BlackBerry Desktop Software. 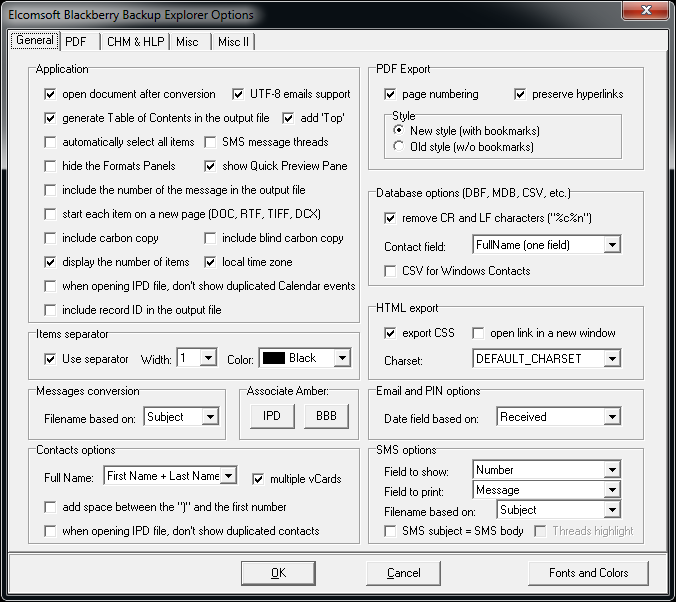 Supports: backups produced by BlackBerry Desktop Software for legacy BlackBerry devices; BlackBerry OS 5, 6, 7 and 7.1. The evaluation version does not display BlackBerry Password Keeper and Wallet records, and does not include data exporting capabilities.